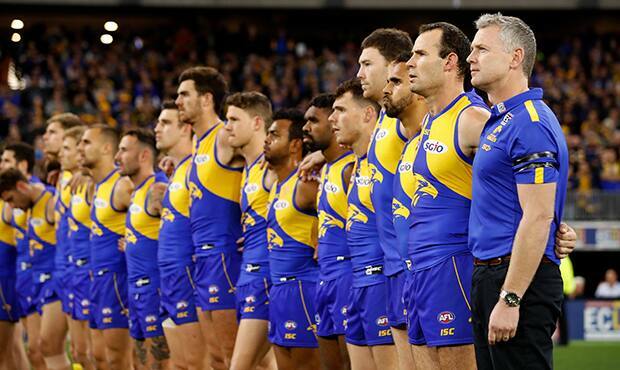 WEST Coast will host a rare afternoon preliminary final next Saturday to allow either Hawthorn or Melbourne to return home that night in preparation for the Grand Final, should they defeat the Eagles at Optus Stadium. A 1.20pm AWST (3.20pm AEST) start has been confirmed by the AFL. The Eagles and Demons played a Sunday afternoon thriller in round 22 commencing at 1.20pm in Perth, which led into host broadcaster Channel Seven's news bulletin in Melbourne at the final siren. Hawthorn hosts Melbourne at the 'G this Friday night and the victor will have an eight-day break before heading west to face the Eagles. The last afternoon preliminary final was a 2.20pm clash in 2011, when the Eagles flew to the MCG to face Geelong and were soundly beaten by 48 points. Next Saturday's preliminary final will be West Coast's fourth home preliminary final in the club's 32-year history. The Eagles have never lost a home prelim, and most recently accounted for North Melbourne by 25 points under lights at Subiaco Oval in 2015. A decade earlier, West Coast defeated Adelaide by 16 points in a Subi clash which started at 1pm local time. The Eagles thrashed the Demons by 65 points at the WACA in a 4.45pm twilight bouncedown in 1994, en route to their second premiership. West Coast's overall preliminary final record stands at 5-2.